The 2018 AccorHotels Showcase in Mumbai and New Delhi will be held on March 21 at Sofitel Mumbai BKC and March 23 at Pullman New Delhi Aerocity respectively. The event is expected to have representatives from 15 countries representing more than 35 hotels and resorts worldwide, offering travel agents, wholesalers, corporate clients, tourism partners and MICE organisers’ an insight into the group’s new developments, products and services. Entering its 15th year, the event will provide an opportunity to discover AccorHotels’ accommodation trends, news and stunning hotels and resorts from around the world. 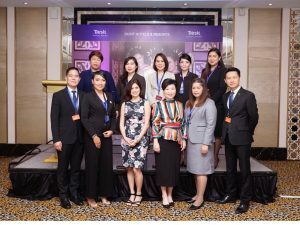 Exhibitors from destinations such as France, Spain, Netherlands, Turkey, Thailand, UAE,South Korea, Australia, New Zealand, Switzerland, Azerbaijan, Saudi Arabia, China and Singapore, representing celebrated hotels like Raffles Dubai and Saudi Arabia, RIXOS Turkey, Fairmont Ajman, SO Sofitel Bangkok Singapore, Novotel Amsterdam City and Novotel Amsterdam Schiphol Airport, and more are set to attend the event in each city. “The signature event serves as a great platform for us to interact and share knowledge with our clients and industry partners. With increased international and domestic travel, we expect this year to be the bigger and more exciting than last year, with interesting insights given our enhanced network and leadership position in the Asia Pacific region,” said Arif Patel, Vice President—Sales, Marketing, Distribution & Loyalty, AccorHotels India. 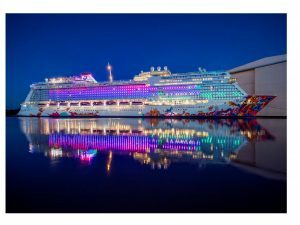 Dream Cruises has announced that its inaugural vessel, Genting Dream, will be home-ported year-round in Singapore starting from December 3, 2017. This marks a first for Singapore to host a new and large-scale 151,300-tonne cruise ship year-round. The ship will call at more than 10 ports in Singapore, Malaysia, Indonesia, Thailand and Vietnam during 2018. Naresh Rawal, Vice President Sales, Star Cruises, Dream Cruises & Crystal Cruises, added, “Apart from this, we are also waiting for the launch of World Dream sailing, the second ship under Dream Cruises, from Hong Kong. We also have something lined up for the new year with Crystal Air’s six-night itinerary that includes Sydney and Honolulu from December 30 to January 4, 2018.” The privately-owned luxury jet has the highest staff-to-guest ratio with Crystal Skye butlers, fine wines, Champagnes and premium spirits, networking area, a bar, 88 handcraft, fully-reclining Crystal Exclusive Class flatbed seats, state-of-the-art in-flight entertainment system and complimentary Wi-Fi.